Two important factors in ensuring an effective science education for all students are a coherent core curriculum that emphasizes the content and practices of science, and teachers with strong pedagogical content and subject matter knowledge. 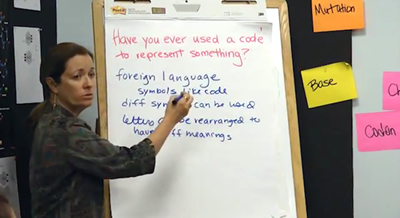 A core curriculum provides a starting place for teachers to modify the materials mindfully, with attention paid to the intentions of the curriculum, the needs of the students, and the effectiveness of their teaching of the materials. Teachers need to have access to multiple opportunities and resources to enhance and diversify their instructional strategies through both structured professional development experiences and educative curriculum that supports their pedagogical content knowledge. professional learning resources to enhance and extend teaching practice. The tools provided in the eTG support teachers in the activities of the everyday work life that involve planning, teaching, and reflecting and in understanding the content and pedagogy of the core curriculum and its embedded educative features. Learn more about the eTG prototype. Essential Supports is a term for the collected teacher resources in the Electronic Teacher Guide, which are designed to extend and enhance teaching practice. 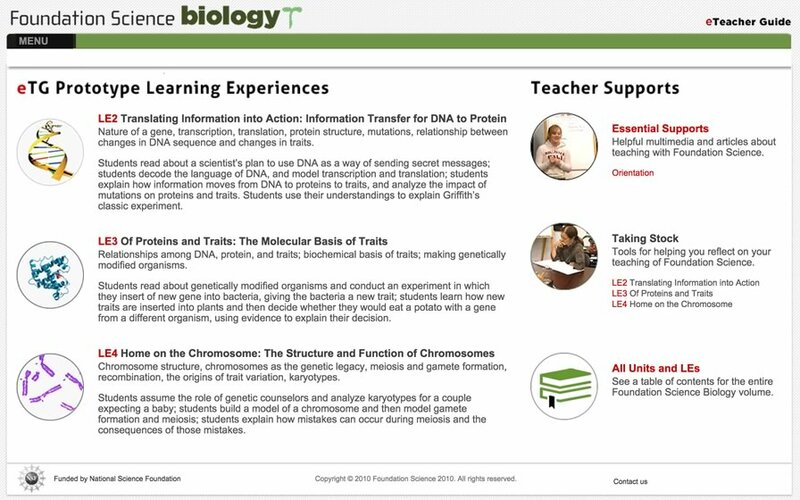 Although created specifically to support the Biology curriculum, they represent guidance on core pedagogical and teacher moves that are critical to successfully enact guided inquiry across the four curriculum content areas of Foundation Science. Within the eTG, we created an Essential Supports index that provides central access to these resources. Using a range of media, the Essential Supports address topics such as productive discussion, content sequencing and modification, prior knowledge, formative assessment and reflections on practice. These resources are also embedded in the eTG eBook to place the supports within the instructional context. Some of these digital resources were culled from the original print teacher guides, and others were newly created based on formative classroom research and teacher interviews conducted during the course of the prototype development.